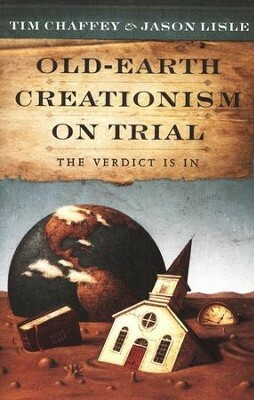 * For centuries the earth's age has been fiercely debated in Christian and scientific circles. This persuasive study offers a fresh perspective on the controversy! Claiming that the debate turns on scriptural authority, Lisle and Chaffey discuss how the Bible is used by young- and old-earth proponents, the church's changing interpretation of Scripture, and more. 240 pages, softcover from Master Books. 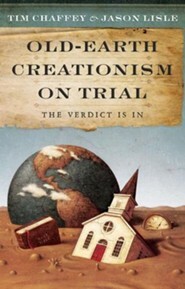 Old-Earth Creationism on Trial: The Verdict Is In authors, Tim Chaffey and Jason Lisle, make the convincing argument that creation was completed in six twenty-four hour days. Their values are in opposition to the popular scientific belief that the earth is billions of years old. The authors stress that Scripture is trustworthy and should not be reinterpreted to compliment faulty scientific opinions. 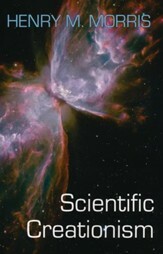 The book contains a broad range of topics dealing with both theological concerns and scientific examinations. The authors communicate firmly and with conviction, without demeaning those with differing opinions. 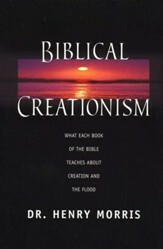 The book is structured in such a way that novices are able to follow the logic and handle the scientific language. Tim Chaffey earned a BS and a MA in biblical and theological studies. He also holds a Master of Divinity degree with a concentration in theology and apologetics from Liberty Baptist Theological Seminary. His co-author, Jason Lisle, earned his bachelors degree in physics and astronomy from Ohio Wesleyan University. He received his masters degree and PhD in astrophysics from the University of Colorado. He is currently a research scientist with Answers in Genesis Ministries. Romans 1:20 states, For since the creation of the world God's invisible qualitiesHis eternal power and divine naturehave been clearly seen, being understood from what has been made, so that men are without excuse. The vastness of creation is a testimony to the power and glory of God. The authors share the foundational message of a six-day creation and a Sabbath day rest for a purpose. 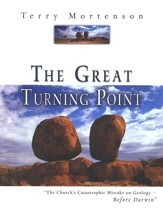 It is evident that the authors motivations are to bring glory to God and to challenge anyone holding to the old-earth view. Tim Chaffey holds a M.Div. specializing in Apologetics and Theology from Liberty Baptist Theological Seminary, and lives in southwestern Wisconsin with his wife, Casey, and two children, Kayla and Judah. He holds a B.S. and M.A. in Biblical & Theological Studies, and is the founder and director of Midwest Apologetics. Tim speaks at various churches, camps, and schools on topics to upholding and defending the Word of God from the beginning to the end. Jason Lisle is an astrophysicist with a PhD from the University of Colorado at Boulder. Dr. Lisle has been a powerful and pioneering new voice in the creationist movement as a speaker and researcher with the Answers in Genesis ministry. 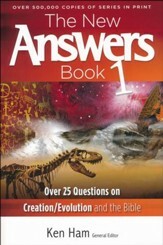 Author of Taking Back Astronomy, and a coauthor of The New Answers Book volumes I and II, he is a prolific writer who has addressed the topics of astronomy and creation in numerous publications. In a vital discussion focused within the Church, authors Jason Lisle and Tim Chaffey explore the foundational issues around the debate on the age of the earth. While much of the controversy focuses on the scientific evidences and beliefs regarding evolution, the authors reveal the debate has a much more compelling and simple core truth  scriptural authority. I'm the author/artist and I want to review Old Earth Creationism on Trial: The Verdict Is In.